I was tickled when Casey of Kitchen Play asked me if I was interested in doing a post for her Equity Exchange program with The Mushroom Council. There are two reasons for that. First, I get to talk about mushrooms, which we love. Second, you have a chance to win a very cool prize from the folks at The Mushroom Council. More about the prize in a moment. The other day on Facebook, one of my blogging friends asked us all a question about the differences between the way that our Moms and Grandmothers cooked, and the way that we do now. We all agreed that one big factor is that we have so many more fresh, interesting ingredients to work with now, than were available when our Moms were figuring out what to make for dinner. And since I am a little older than a lot of other food bloggers, I can remember when I didn’t have all that impressive a selection either. Mushrooms are a perfect example of this trend. When I was first out on my own, most of the mushrooms available in our small town grocery store were canned. If you were very lucky, there might be some small packages of fresh mushrooms, but they were expensive, and often because of the packaging, they didn’t stay fresh for long. Back then, it was a mushroom wasteland. Now, we usually have a choice of at least 5 or 6 different kinds of mushrooms, and they are incredibly fresh and tasty. In a really big supermarket there are even more choices. These days – we have mushroom heaven! I use a lot of mushrooms in my cooking, because they are so easy to incorporate into everything, and bring along their own special flavors and textures. 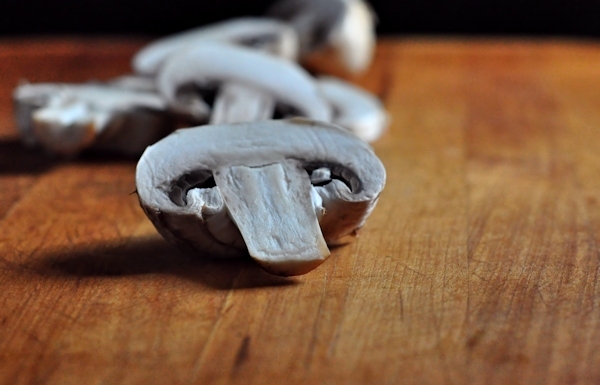 Soups, stews, casseroles and vegetables all benefit from the addition of mushrooms. 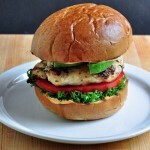 Remember Dijon Mushroom Chicken? 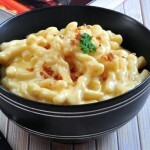 But I also use them for quick and casual meals, because they cook up quickly and add so much interesting flavor. This sandwich is a perfect example of how simple it is to use mushrooms to elevate an ordinary dish into something really wonderful. I started with just regular white button mushrooms, but I have used this same idea with creminis, and even portabellas. The balsamic vinegar gives them a rich, almost meaty flavor that makes them a healthy choice for a quick lunch. Typically, I might add some sliced ham or cooked bacon to a sandwich like this, but mushrooms can be a better alternative. I had some really sharp NYS cheddar and a loaf of rye bread baked in a local bakery – this is beginning to really sound like a sandwich now! I added marbled colby-jack for it’s creamy texture and some Dijon mustard for an additional spark of flavor, then finished things off with a sprinkle of chopped fresh parsley for some brightness. Use a large, non-stick saute pan, and heat the olive oil. Lay the mushrooms in a single layer in the pan, and saute until the first side is well browned. Turn over and brown the other side as well. Drizzle the balsamic vinegar over the slices and shake the pan to get each slice covered. Cook until the pan is dry again, but be careful not to let the mushrooms burn. Turn off the heat, remove the mushrooms from the pan and give them a little sprinkle of sea salt. Wipe the pan out with a paper towel. To assemble the sandwich, very lightly butter one side of the bread slices. Turn the slices over and spread the mustard over the other side. Place one slice of bread for each sandwich butter side down in the saute pan. Layer the cheeses and mushrooms on the bread, with the mushrooms in the middle. Sprinkle on the parsley. Top with the second bread slice, mustard side facing in. Turn the heat to medium and cover the pan loosely to keep the heat inside - this will help help the cheese melt more evenly. Cook for 5 minutes and check to see if the bottom is toasted to your liking - if not, leave another minute or two. Turn sandwich over carefully and cook another 5 minutes or so, until the second side is toasted as well. Luscious! And the mushrooms add some great nutrition to your day too – they are a good source of both vitamin B and D, along with some other good for you stuff – you can check it out here: Nutritional Benefits of Mushrooms. Now – the Mushroom Council is sponsoring a giveaway for my readers! 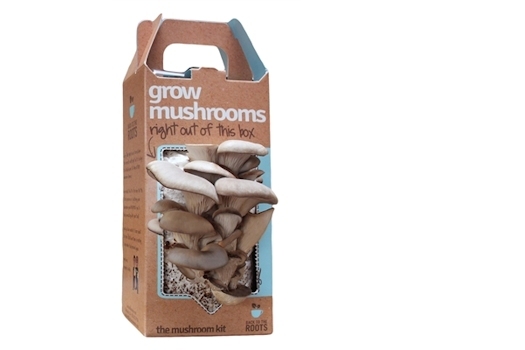 You can win the nifty mushroom growing kit pictured below. You must have a US shipping address. Leave a separate comment if you “Like” The Creekside Cook Facebook page. If you already like the page, then share any post from the page to your own Facebook wall – make sure you leave a comment so I know that you did. Leave a comment to tell me that you started Following me on Pinterest – or if you already do! 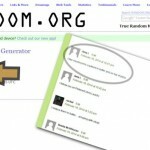 That is 4 chances for each reader to win. Good luck everyone – this is such a neat little prize, that I think I may go an buy a few to give as gifts, and maybe even one for myself. And in the meantime – enjoy the sandwich! 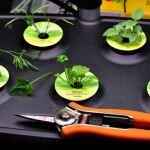 Some Awesome Garden Shoes & a Giveaway! I totally love mushrooms. I can eat them anyway . My favorite was is sautéed mushrooms with herbs and some heat from chillies and lot of olive oil. Your sandwich looks oozzing with deliciousness ! I like my sandwich just the way you have made! This sandwich looks like something I would really enjoy. I need to rewrite my grocery list now, so that I can give it a try this week. thanks, Donalyn! You had me at the mere mention of mushroom!! My all time favorite food. I have several recipes so a favorite would be hard to pick. 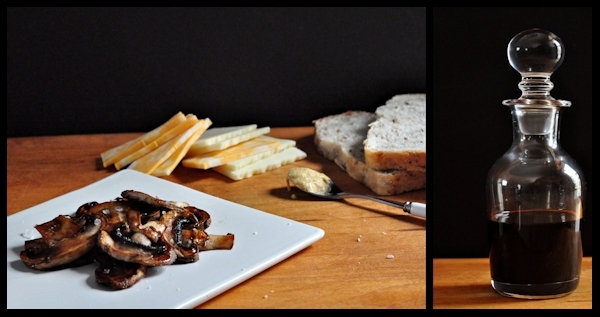 The fastest and easiest is sautéed mushrooms with wine that is delicious over grilled steaks. Clean and slice mushrooms (amount up to you depending on how many people you are serving) sauté in a couple generous pats of butter and a little good olive oil until almost done. Add about a half cup good wine and simmer for 3-5 minutes. Serve over grilled steaks. Wonderful!!! 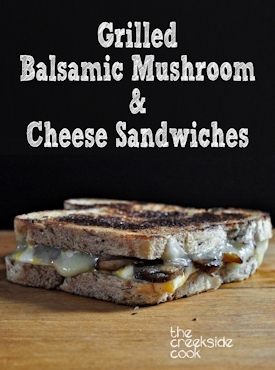 who doesn’t love a hearty cheese sandwich filled with delicious mushroom!! I am a huge fan of all kinds of mushrooms and one of my favorite dishes during this time of the year is roasted mushroom soup! Thanks for the giveaway! 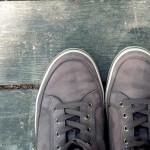 Just liked your fb page! I love mushrooms! My husband and I enjoy them in soups, casseroles, and sandwiches. However, our all time favorite way to enjoy mushrooms is sautéed with onions and peppers, served as a side dish. I just facebook liked The Creekside Cook page. I started following you on Pinterest today! I signed up for your weekly newsletter. Really looking forward to receiving it. I remember those days when mushrooms were pretty exotic! And when the only lettuce you could reliably find in the winter was iceberg. Glad those days are long gone! 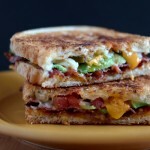 This is a wonderful grilled cheese sandwich. I make grilled cheese all the time, but have never added mushrooms. You know I will! Thanks. I had previously subscribed to your weekly newsletter and liked your Facebook page – I actually saw this as a pin on Pinterest so I’ve followed all your boards. I love mushrooms, and, as I’m 61, I know exactly what you mean about the lack of mushroom (and other produce, for that matter) variety years ago – thank heavens it is different now. My favorite way to prepare mushrooms? How can I even pick? Cream of mushroom soup is one – another one is a simple Italian style marinated mushroom in olive oil, vinegar and some Italian seasoning. 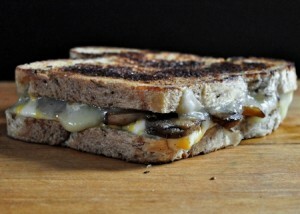 I’ve never added mushrooms to a grilled cheese sandwich either and will indeed try it. 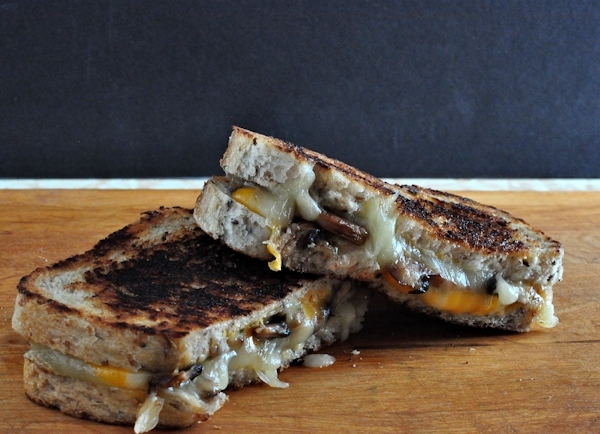 Now that’s a grilled cheese you can make a meal of, for sure. Love mushrooms in anything. They add such flavor and meatiness. that sandwich looks yummy. my favorite way to eat mushrooms is actually naked and out of hand. There is nothing like a good sandwich, and this, my dear, looks heavenly! You can’t go wrong with mushrooms and cheese! Thank you for sharing such a delicious recipe, my friend! I hope you have a happy start to your week! I love to mix them up with a little butter and some garlic for a nice steak! I love to use fresh mushrooms in chicken marsala! I liked you on facebook and shared your smores pie!! YUM YUM YUM!! I love this fancy grilled cheese! I looks so good. We love mushrooms in all kinds of things and I’ve been interested in trying out one of these kits! I love sauteed mushrooms with lots of things–but one of my favorite summer indulgences is to briefly marinate those big Portabello mushrooms in some teriyaki marinade and then grill them for a “shroom” burger. Mmmmm. I already get the creekside cook newsletter. I love to just sauté up a bunch of mushrooms with some garlic, thyme, salt, pepper, green onions, a little white wine and a splash of cream. Then I pour them on top of a nice thick slice of sourdough bread! I like mushrooms sauteed in butter and on top of pizza. I reduce them in butter….amazing with steak. I eat mushrooms on about everything!! 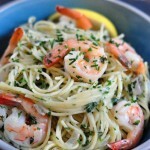 love them with just olive oil and garlic!! Have to have them in my spaghetti or i will not eat it!! We love mushrooms in everything. I think our favorite way is to cook them with hashbrowns. Love your weekly newsletter. I am a fairly new subscriber and I made your pickles this past summer. So so good. This sandwich looks like something my family would love. I think my favorite way to enjoy mushrooms is in Italian food like my Mom always made. I subscribe to your newsletter and love getting it every week! Wonderful recipe. I am looking forward to making myself one once we return to the states. That is in about another month. Here in Mexico we have been making grilled portobello Burgers and they are such a hit that now we only make a couple of beef burgers just in case someone in the crowd wants one, but usually once someone starts talking about their mushroom “burger” everyone wants to try one and the beef burgers end up going to my puppy. OHHHH! I exploded when I saw the giveaway prize. Thanks for sharing! Where can I buy one of those? It’s so crazy. We like mushrooms on pizza.